The cryptocurrency exchange Bitstamp has implemented a new system of processing and information requests (matching engine), developed by Cinnober. Cinnober is a Swedish company engaged in the development of software solutions for stock exchanges and clearing. Her clients, mostly players of traditional stock and commodity markets. Use the company services, for example, the Australian stock exchange, Tokyo stock exchange and the London metal exchange. Trading system called Cinnober TRADExpress replace their own similar system Bitstamp. As told by the technical Director exchange David the Property (David Osojnik), TRADExpress will increase the effectiveness of information and processing of applications, there are instructions to brokers to buy or sell cryptocurrency. 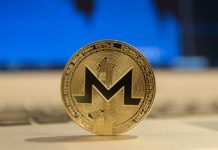 Improving the performance of this process is necessary in periods of high market activity, such as that observed in the last December, during a rally of bitcoin. “It is expected that the processing speed of applications will increase in times of 1250, with a capacity of 400 times. Increased bandwidth will allow our platform to respond to any level of demand. Our system of processing information, and applications therefore have been sufficiently productive to keep exchange online during the powerful rally last winter. This step (approx. replacement system) will ensure the stability of the trading platform, regardless of the circumstances,” commented the Property. Technical Director added that the new system will help Bitstamp to develop a service for institutional investors. It will provide the necessary speed of processing applications, as mentioned above, and will further create new types of applications and pair trading without losing performance. The implementation of the system TRADExpress take place in several stages: the first is planned for early next year. The last phase will end in late June. Because Bitstamp 2016 is licensed payment institutions of the European Union, the stock exchange, it is important to expand opportunities for the creation of services for institutional investors. 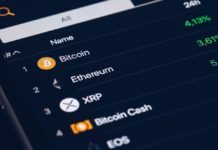 Says the head of Bitstamp Nejc Kodric (Nejc Kodrič), the new trading system will be another step to turning the exchange into a kind of bridge between cryptocurrency and traditional financial markets. 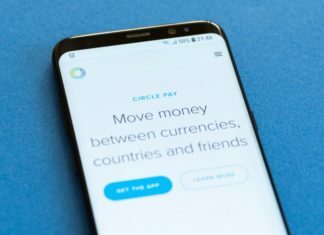 “We chose Cinnober because they have a proven reputation in the international financial market,” added the CEO. The head of the Cinnober Group Peter Linardos (Peter Lenardos) confirmed that his company developed system will help Bitstamp to maintain a stable service for users. Cryptocurrency exchange founded in 2011 in Luxembourg, and now has branches in the UK, Slovenia and the United States. In late October, Bitstamp has confirmed media reports on the transfer of a major share of business venture company NXMH. 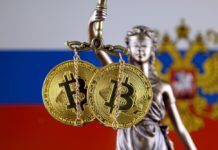 According to representatives of the exchange, the change of ownership will not affect its activities, and head of the company still remains Kodrich.